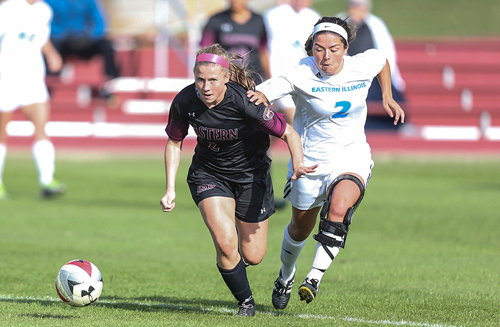 BRENTWOOD, Tenn. – The Eastern Kentucky University soccer team has been picked by league head coaches and sports information directors to finish third out of 11 teams in the Ohio Valley Conference, the league office announced on Tuesday. It is the highest preseason OVC ranking in program history. 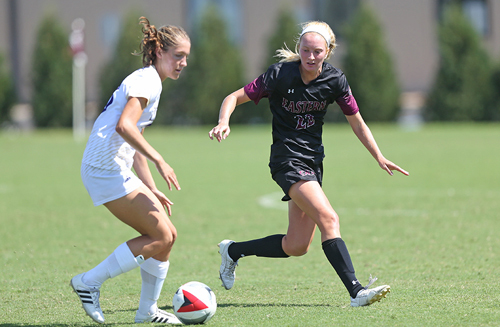 EKU completed the largest turnaround in the NCAA last season, improving from 4-14-0 in 2015 to 13-5-1 in 2016. 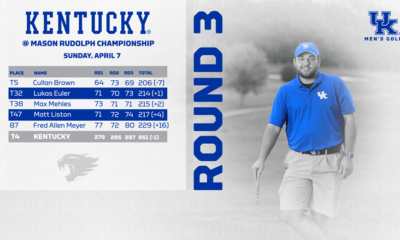 The Colonels won a share of their first-ever OVC regular season title and advanced all the way to the OVC Championship game before falling to SIUE, 1-0. Murray State, the other 2016 OVC regular season champion, was picked to finish first with 10 first-place votes and 184 points. SIUE, the defending OVC Tournament champion, was picked second with six first-place votes and 168 points. EKU received four first-place votes and 164 points, while Tennessee Tech got two first-place votes and 157 points. 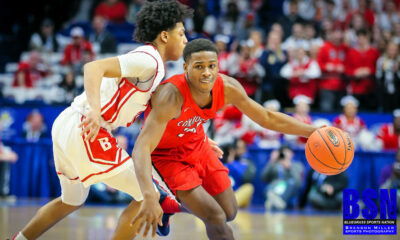 Austin Peay and Southeast Missouri (121 points), Belmont (95 votes), Morehead State (76 points), Jacksonville State (54 points), UT Martin (50 points) and Eastern Illinois (20 points) rounded out the preseason rankings. OVC Coach of the Year Nick Flohre returns several key players from last year’s championship team, including first team All-OVC forward Jordan Foster, who broke the single-season program records for goals (eight) and assists (five) in 2016, and second team All-OVC goalkeeper Anna Hall, who recorded a program-record 11 shutouts in 2016. EKU will host Marshall (August 9 at 6:00 p.m.) and Indiana State (August 12 at 4:00 p.m.) in exhibition matches this week. The Colonels open the regular season at Northern Kentucky on Friday, August 18, at 7:00 p.m.